It’s Canada’s smallest province, but that hasn’t stopped Prince Edward Island from launching several initiatives to support startups. One of the newest is Startup Zone, an incubator in downtown Charlottetown, which launched last year. It’s already worked with over 30 startups and has started to see companies graduating and moving out and into larger spaces. 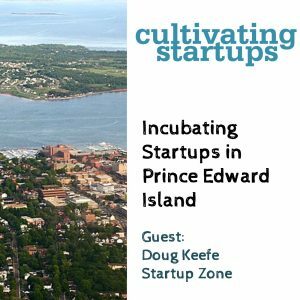 Doug Keefe became the interim CEO of Startup Zone in April and on this week’s show he talks about how Startup Zone started, building a startup community in Charlottetown, the challenge of finding tech talent, a new $4 million fund launching in the province, and some early success stories for the incubator.